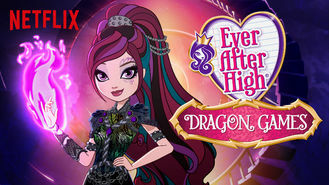 Ever After High (2013) on Netflix USA. Check worldwide Netflix availability! If Ever After High isn't available in your country, or you are visiting a country where it isn't, there is still a way to watch it! The kids of fairy-tale characters attend a school with two cliques: those who accept their fairy-tale destinies and those who want to write their own. These powerful princesses aren't waiting to be rescued. They're creating their own fairy-tale destinies!